Whether you’re learning any of the Chinese dialects found throughout East Asia, a Southeast Asian language such as Thai or Vietnamese, or even Punjabi (a language spoken by over 130 million native speakers throughout Pakistan and India), you’ll have to deal with the dreaded issue of tones. There seems to be a mysterious aura surrounding tones, and many aspiring language learners are often put off by horror stories of people who just could never get it right. Some claim to be tone deaf (you can test your ability to listen to different tones here, but more on that in the interview you’ll listen to just below), while others can’t support the boring tone drills that their classroom teacher puts them through. But if we think about it, if hundreds of millions of native speakers across continents have learned to master their own native language, no matter how many tones it has, wouldn’t it be reasonable to believe that in fact, anyone can do it too—with a good amount of effort and the right method? Today, we’ll examine exactly how you can learn a tonal language effectively, and we’ll do this by first getting some really good advice from somebody who makes a living teaching correct pronunciation in foreign languages. Once you’ve gone through the interview, I strongly encourage you to read through the remaining article, since I included lots of additional tips and ideas, and I shared another video, this time made by polyglot Stuart Jay Raj, on how to pronounce tones. Tonal languages, most notably Mandarin Chinese, are usually taught in textbooks and classrooms in a very specific way, something I (and many others) call the “bottom-up method.” This method starts by teaching you the tones of the individual syllables of words—i.e. the basic building blocks—and then moves on to words (which can be mono-, bi- or trisyllabic) and finally to whole sentences. This is the exact opposite of how people naturally acquire their mother tongue, or how people in an immersive environment would learn to speak a foreign language. It seems logical though, and after all, since it’s used in textbooks all over the world, it must be the right way to go, right? Well, let’s delve a bit deeper into this issue before continuing, and hopefully we’ll be able to shed some light on this issue. I studied economics at university and graduated last September. I put some syllables in bold to show you where a native speaker would normally put the stress on each word. Word stress in English is something that is totally random and that can even change depending on the dialect you’re using. Word stress can also, at times, change the meaning of a word (think of dessert, the sweet stuff you eat after a meal, or the Sahara desert; the only thing distinguishing those two words in spoken English is the stressed syllable) or change the part of speech of a word (suspect is a noun, whereas suspect is a verb). I bet you’re already starting to have a headache by now, aren’t you? Chances are, if you are a native English speaker, you probably didn’t even know about what I just told you in this paragraph. Just as a native Chinese speaker has no clue about his or her language’s tones until somebody actually tells them. Now, let’s imagine for a moment how dreadful it would be to learn English if you started by learning the individual syllable stresses for each and every word, before actually “graduating” to stringing whole sentences together. My bet is that a lot of people would simply give up after a few days/weeks of study. Your brain would be so busy processing all the information about word stress that you probably wouldn’t be able to string together a natural sounding sentence after months of study. So how do people learn to pronounce syllable stress, then? The answer is, usually through repeated exposure. In all fairness, a lot of people never learn to properly pronounce English words (I vividly remember my economics professor at university who, ironically enough, couldn’t pronounce the word “economy” with the proper stress).However, people who are attentive enough and who genuinely wish to improve their pronunciation usually manage to get it mostly right through repeated listening, by copying how native speakers talk, and by, when needed, practicing individual words that are harder than others to pronounce. They follow a “top-down approach.” So what about Chinese? By now, you should have an idea of the direction I’m going with tones and the “top-down approach.” In this section, then, I will show you how well-known polyglots and I believe we should learn a tonal language. Luca Lampariello has learned 12 languages and is by any standard an accomplished and inspiring polyglot who has a lot of great advice when it comes to language learning. 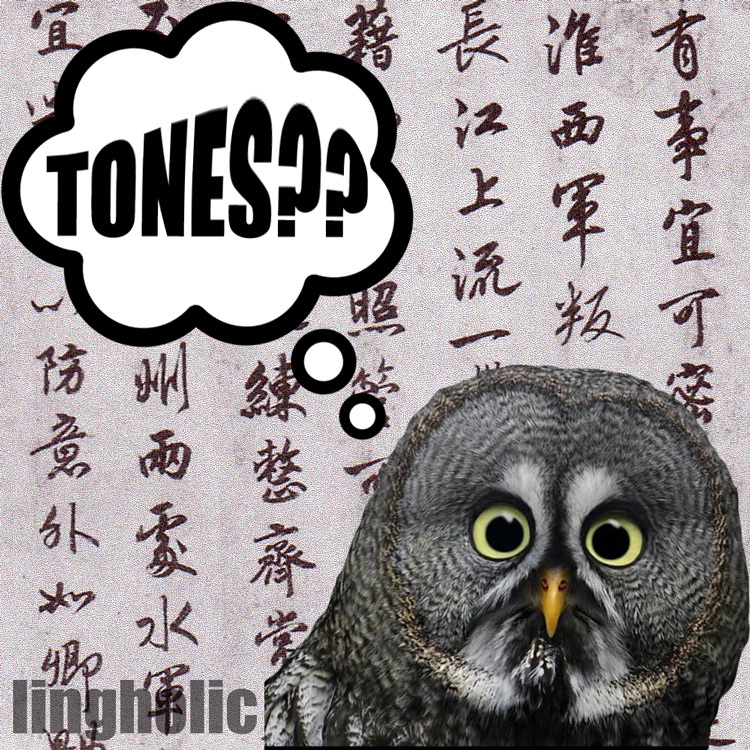 Luca has learned Mandarin Chinese a few years ago, and he wrote a great post on his blog in late 2011 about how he thinks one should learn tones. “Very often the combination of Chinese tones and characters causes a lot of students to give up too soon,” he says.“Yet more than one and half billion Chinese, as well as a vast number of foreign students speak impeccable Chinese, showing that Chinese tones are not impossible to learn.” So what does he advise? Children hear whole sentences. They don’t start with syllables. They simply hear chunks of a language and then identify the single components by themselves. As adults, we tend to think that we can figure out the structure of a language by analyzing every single aspect of it, and we lose sight of the general, broader picture. As adults, we still have the capacity to hear, but we have partially lost our capacity to listen. In order to restore this capacity one needs patience and a bit of open-mindedness. Only a few months after starting learning Chinese “the traditional way,” I realized how important it was to listen to whole sentences. The bottom-up approach had suddenly turned into a top-down approach: one starts by uttering a whole, simple sentence and then moves downward towards its individual components. Read the introduction to phonetics for the language you are learning. It’s always helpful to know the number of tones your language has and what they are. For example, Vietnamese has 6 tones spread over 2 registers. Mandarin Chinese has 5 tones (high level, rising, falling rising, and falling, in addition to a “neutral” one). Thai has 5 tones as well (mid, low, falling, high, and rising). Polyglot Stuart Jay Raj has made an incredible video with useful mnemonics, showing you the differences between various tones found in the Thai and Chinese languages among others, and I highly recommend you to watch it. I’ve embedded the video here for your convenience. Once you are comfortable with the basic rules and phonetics of the language you are learning (including the different vowel and consonant sounds and the alphabet, if there is one to be learned), start to get familiarized with the language by listening to simple sentences, over and over again. These can be ideally found in a textbook that provides basic conversations. I recommend Assimil, but there are plenty of other good ones on the market. Listen to the tape and don’t worry if, at first, you don’t seem to get the tones right or if you can’t even hear the difference between them. Simply listen repeatedly to sentences and train your hear to listen to the flow of the language. Listen again and again and again, as much as possible. Slowly familiarize yourself with the sounds of the language. The next step is to record yourself repeating short sentences after having heard them from a native speaker (from a tape or an actual person). If you have a private tutor (you can easily find one online, on a site such as italki), it’s even better since he/she will be able to give you direct feedback on your pronunciation. Once again, don’t worry in the early stages if your pronunciation is not perfect. Nobody’s pronunciation is even remotely perfect during the early stages of foreign language acquisition. Also read the dialogues you have been listening, but make sure to read them aloud. As polyglot Moses McCormick also recommends, you want to hear yourself produce the sounds and the tones of the language. If you have problems with certain individual words, try to work on them individually but always return back to using them in an actual sentence. If necessary, write the words difficult to pronounce in a flashcard application such as Anki or in a notebook and review them as often as necessary. Start learning more complex sentences. Never stop getting feedback on your pronunciation. Record and listen to yourself, and practice simple conversations with a tutor. Listen to the target language as much as possible. Polyglot Susanna Zaraysky and Idahosa Ness recommend listening to music; give it a try too! Do you have experience learning a tonal language? How did YOU go about learning one? What worked and what didn’t? Or perhaps you have questions related to this post? As usual, it’s always a great pleasure to read your questions and comments. The online language learning community is there for a reason: to help and support each other!! Thanks for reading all the way through, and if you have found this article useful, share it with your friends and “like” lingholic on facebook! Glad I finally had chance to sit down and read this article! As a learner of a tonal language who still has issues with tones, what I just heard and read is very reassuring. For example, I can conclude not to worry that I don’t always know the tone on hearing a new word as most native speakers don’t either. Vietnamese is different to Chinese because the tone is written on the word (and I’m led to believe this is also the case with Thai) but learning that is, I guess, different to learning how it sounds. I remember a Vietnamese friend telling me that kids there have to study writing tones in the 1st and 2nd grades and it takes them ages to learn too even though, as in one of Idahosa’s example from college, they are perfect native speakers. I definitely think it’s a great idea to focus on the rhythm in the beginning rather than meaningless drills. Mimicking real sentences makes so much more sense. I certainly had a stage at the start where I over-pronounced words, then went to the other extreme of under-emphasising tones. I wish I could have avoided both of those! Perhaps, on reflection, I pick up more about tones than I think I do after my fairly extensive exposure to the language, but still some way to go. Onwards with recordings to keep on improving! Thanks for sharing your experience, Ruth! I remember indeed from one of our previous conversations that you said you had issues with tones. Maybe, as you said here, you simply worried too much about “knowing” the tone for every word, when even native speakers don’t know about it. I found it quite interesting when Idahosa mentioned, at around 12:00 in the interview, a lady of Chinese origin (and fluent in Chinese) who studied in one of his class. Despite being, by far, the best Chinese speaker out of the group, she got the lowest grade of all the students because she couldn’t tell the tones apart when asked by the teacher. As Idahosa underlined, this poses a fundamental question as to the actual purpose of a class; are they supposed to test your ability to interact with people and express yourself in the language, rote memorize tones and characters? Anyhow, I’m always thankful for your comments and glad that you share your experiences. I’m sure lingholic readers would love to hear more from you, if you’re ever interested in guest posting let me know!